unbag Magazine is putting out an open call for proposals for critical essays, literary works, visual art, film, and web-specific projects for the Fall 2018 issue Reverie. In reverie, one is necessarily detached. Imagination gives way to desire, and thought turns to narratives distinct from social reality. From a psychological perspective, reverie may address an unmet need. In film and literature, reverie frequently plays with, or complicates, an audience’s relation to the real. In this issue of unbag, we seek to play with reverie as a way of thinking with fantasy, magic, and desire. In what ways do we dream about the world? Might the fantastical address the political? What compels such modes of detachment? Concepts and Keywords: Absent-Mindedness, (Self) Absorption, Carphologia, Chimera, Compartmentalization, Daydream, Delirium, Delusion, Detachment, Desire, Distraction, Dream, Engrossment, Fantasy, Fascination, Fiction, Hallucination, Ideal, Idleness, Illusion, Imaginary, Incantation, Indolence, Lost, Macondo, Magic, Magical Realism, Mental Health, Mirage, Muse, Myth, Narrative, Oblivion, Paranormal, Phantasm, Possession, Preoccupation, Queer Futurity, “Reality surpasses fiction,” Shadow, Sloth, Specter, Speculation, Stupefaction, Unconscious, Unicorns, Yearning. We are looking for proposals from underrepresented artists and writers for projects to be published in print and/or online. Contributors will work with unbag staff in the realization of projects, receiving editorial and technical support. Selection is made according to 1) the manner in which proposed projects take up the theme “reverie,” 2) quality of proposed work, and 3) the relationships that projects form with other workable submissions. We do not publish journalism, exhibition reviews, or artwork documentation. 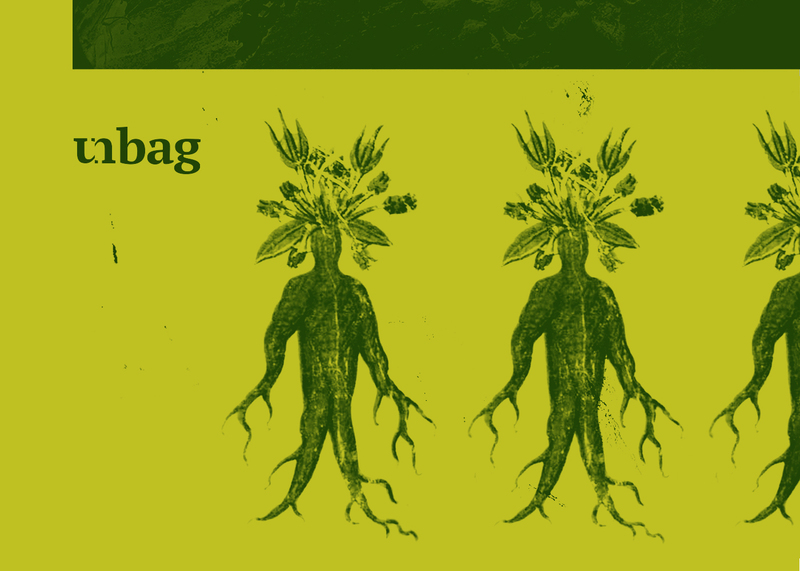 For questions about the application and/or selection process, please email editors@unbag.net. * Underrepresented may be broadly defined according to race, gender identification, nationality, class, access to education, or institutional representation. Please submit all work by the deadline of March 8, 2018.
unbag is a digital and print publication that promotes critical engagement with contemporary art and politics. Commissioning artists, writers, and thinkers who work outside of mainstream discourses, it functions as a space to explore ideas through discussion and exchange.